A lightweight cool material that can be worn in so many ways. Veronica’s popular fashion lines of chiffon two-pieces reflect all it means to be creative and elegant. You will feel the breeze and those confident and care-free vibes once you strut yourself with a garment from Veronica’s glamorous line. 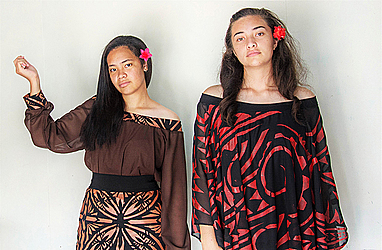 From the process of being hand-printed on the board to being sewn into a sophisticated apparel, fashion designer Fa’ava Lei Sam has created with her team the new statement outfits of the year. 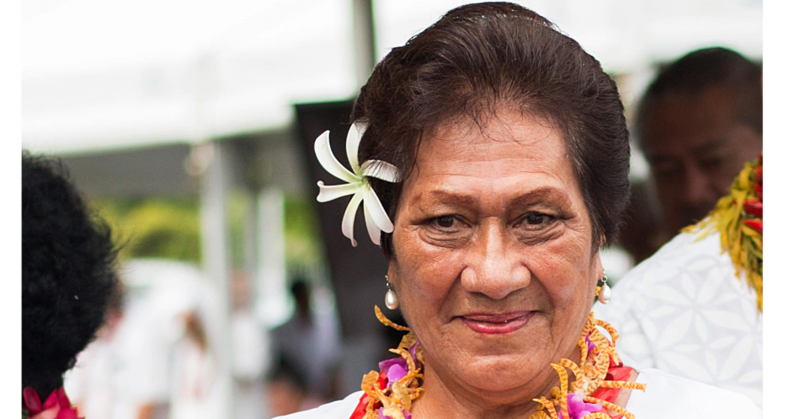 Asked about the inspiration behind these beautiful masterpieces, Fa’ava says the chiffon couture and designs from the pattern to the hand-printing (which she does herself) all comes naturally. An excellent image of a passion that has perfected exemplary and gorgeous originals from experience and love of fashion. There is so much to love about these pieces! First there is one of each outfit and colour, so you wouldn’t have to worry about looking strikingly unique at the party or wedding you are planning to go to. Second, although there is one of each outfit, it can be resized so that it fits your features for free! The latter are one of the many reasons why people shop at Veronica’s. The chiffon pieces have a modern and contemporary look that no other fashion brand on island has created. Distinctive and glamourous are the looks to go for this season. The variety and combination of hues with the bright colours embellished on the dark loose chiffon are a real head-turner. I am still in awe at the pure genius behind the colour blends, like wow! I see it as a candid and unmatched form of wearable art. There is a basket full of reasons to adore this line. The collection is exceptionally and astoundingly classy, artsy and the absolute entirety of authentic pacific vogue. No accessories needed too. Chiffon with its sheer, regal and flowing material will check off the list on all your fashion needs ladies.